Congratulations and appreciation to the Danish Transition Hub who have recently published a beautiful and practical guide to doing Transition in the Danish language. As far as we’re aware, this is the first Transition book in Danish – 123 pages containing 23 different tools and resources from how to start an initiating group to the Transition health check. The book also includes a description of how to create a gift circle – an activity which Copenhagen Transitioners have enjoyed a lot and which they were keen to share with other Danish groups. 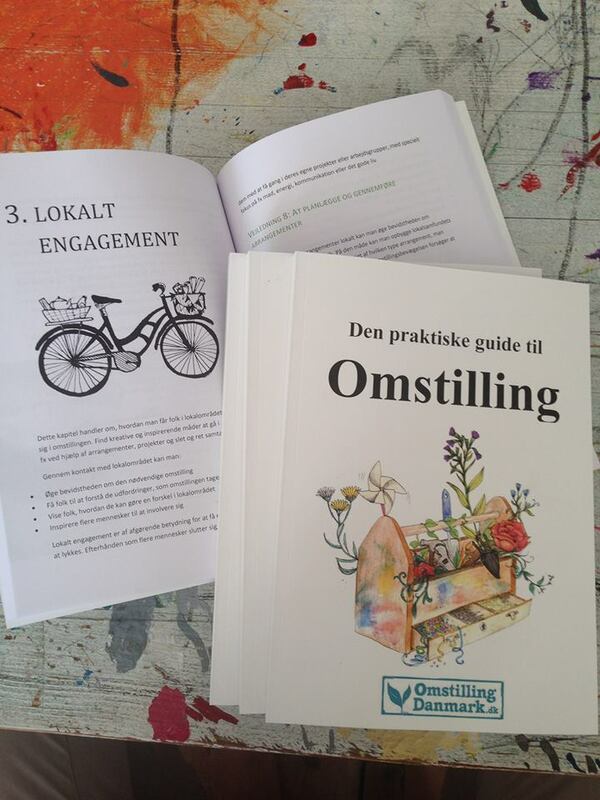 The title “Den praktiske guide til Omstilling” translates as “The Practical Guide to Transition” and the book can be obtained from info@omstillingdanmark.dk as either a print copy (priced at 100 DKK) or a free PDF.